Title: John Hasek fonds. 1949-1996; predominant 1965-1992 -- 3.16 m. of textual material; 12 b&w photographs, 8 col. photographs, 2 negatives, 1 slide; 6 audio reels. Biographical Sketch: John Henry George Hasek, né Jan Jaroslav Jindrich Siri Hasek, was born in Czechoslovakia on January 28th, 1938. In 1948, Hasek escaped with his family to England, where he finished his early education. He then emigrated to Canada, where he began his military career in 1957. On August 10, 1963, Hasek married Glenna Hubble in Winnipeg, Manitoba. 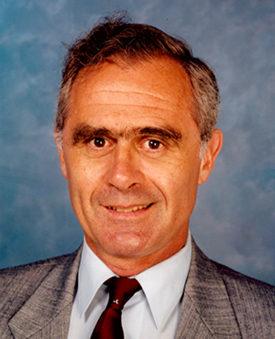 During his time spent in the Canadian Forces, Hasek worked as an instructor at a military academy in Ghana (1965-1967), as a peacekeeper in Cyprus (1967-1968), a Ceasefire supervisor in South Vietnam, and an analyst for the Directorate of Strategic Policy Planning at the National Defence Headquarters (1978-1980). Throughout this time he served with the Black Watch, the RCR, and was the first commander of the Skyhawks, an airborne regiment. Upon retirement from the regular forces in1981, Hasek continued to be active in the reserves with the Queen’s Own Rifles, worked as a consulting psychologist to the Halton Regional Police Force, ran in an election for School Trustee, and worked as a free-lance journalist. Scholastically, Hasek attended a variety of different schools, including the University of Ottawa (1958-1961), where he obtained a Bachelor of Arts in Philosophy, and the University of New Brunswick (1965-1968), where he obtained a Masters Degree in Psychology. Hasek also attended military-related schools, including the US Army Special Warfare School (1965), where he studied Insurgency War; The Canadian Forces Staff College (1971-1972), where he obtained a PFSC in a Command and Staff Course; and the Royal Military College of Canada, where he studied War Studies. Hasek not only retained an interest in Czechoslovakia, but also became an ardent opponent of Communist totalitarianism. Consequently, Hasek became a founder of the Black Ribbon Campaign (an alliance against totalitarianism), became secretary-treasurer of the Czechoslovakian Association of Canada, and when the Czech government collapsed in 1990, he organised more than one thousand volunteers to teach English in Czechoslovakia ( an organisation, which, after his death, was renamed the “John Hasek Society”). This avid interest in communist and peace-related issues, combined with an interest and knowledge of the military, led Hasek to write a number of different articles on these subjects, as well as present lectures and talks for a variety of groups and classes. He also published a book in 1987 entitled The Disarming of Canada, and created a film in 1989, called The Seductive Illusion. In 1993, while working out of Czechoslovakia as a free-lance journalist covering the war between Croatia and the former Yugoslavia, Hasek was involved in an accident which resulted in massive injuries. Six months later, on January 1st, 1994, Hasek passed away. He was survived by his wife, Glenna, and his two children, Anthony and Elizabeth. Scope and Content: This fonds documents John Hasek’s varied and overlapping interests, beliefs, and activities, particularly concerning peace movements, politics, the military, and his native Czechoslovakia. This fonds contains many of Hasek’s articles in both rough and published form, as well as items relating to the articles, such as public feedback. The material within this fonds which involves Hasek’s book The Disarming of Canada, his film The Seductive Illusion, and speeches, however, is mostly in the form of working papers, preliminary manuscripts, and feedback, rather than the finished versions. Also included in this fonds are documents and correspondence which Hasek collected concerning the above mentioned areas of interest. There is also material relating to Hasek’s personal life, his work in the area of stress management and employee protection, his life as a student, his efforts in running in an election for school trustee, his work with Youth Service, and his work as journalist in Croatia. These items are mainly in the form of articles and correspondence, although there is also material such as school records, reports, and personal records included. Title: Title is based on the name of the creator. Accompanying Material: There were a number of military-related books which were deposited with this fonds. Although these books are not included in this fonds, they were retained at the University of New Brunswick Archives, and the titles can be found in Appendix B of this finding aid. Immediate Source of Acquisition: On October 6, 1997, the majority of the material in this fonds was deposited by John Hasek’s widow, Glenna Hasek. The exceptions to this are the 6 audio reels found in series 13. John Hasek loaned the originals to the University of New Brunswick Archives in 1977, and they were then dubbed by the University. The originals were returned to Hasek, and the dubbed copies remain in this fonds. Arrangement: The original state of the material necessitated an arrangement being imposed by the archivist. Where possible, the files and sub-files within each series have been arranged chronologically, with the undated items appearing at the end of the file, or series of sub-files. Language: While this fonds is predominantly in English, it contains substantial amounts of material in Czech and in Croatian. Related Material: The “John Hasek Society fonds” (MG H 183) contains documentation from “Education for Democracy”, an organization primarily founded by John Hasek, as well as from the “John Hasek Society”. (“Education for Democracy” was renamed “The John Hasek Society” shortly after Hasek’s death). Other: It should be noted that a great deal of material within this fonds is very closely related with regards to subject matter – consequently, it is often the case that material relevant to a particular subject can be found in various different series. This is particularly true of Hasek’s writings, which can be found in series 1, as he wrote about subjects that interested him in many different fields.